This post is a little different to my usual stuff, but something that I haven't spoken much is my love for Anime. So I thought it would be a good idea to tell you about some of my favourite anime I've seen recently. My favourite genres of anime are Fantasy, Horror and Psychological. I've tried to keep out as many spoilers as possible. The story is about the main protagonist called Ryōta Sakamoto, a 22 year old male who is one of the world's top players of a video game called Btooom!. One day he wakes up on an unknown island, with no memory of how or why he was there. After wandering around, Ryōta finds another person and asks for help. The stranger responds by throwing bombs at him. Ryōta soon realises that his life is in danger and that he has somehow been trapped in a real-life version of his favourite game. I watched this a few months ago after seeing things about it on tumblr. The story really interested me as it was to do with video games and an unexplained event. The characters you meet along the way are interesting and all have different back stories. The explosion effect are pretty well done and the fight scenes are action packed. Each episode keeps you on edge and the only disappointing part about this anime is that the ending doesn't explain very much. But I have yet to read the manga so hopefully a bit more is explained. Also this anime has an awesome intro! Ok, the story is a little complicated for this one so i'll give you the basics. 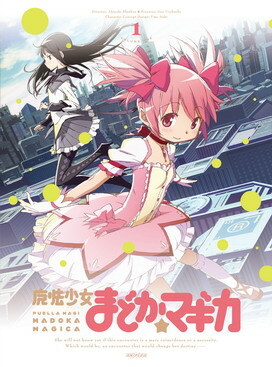 A 14-year old girl named Madoka Kaname and her best friend Sayaka Miki meet Kyubey. A cute creature that offers a contract in which a girl can have any wish granted in exchange for becoming a magical girl tasked with fighting against witches. That's all I'm going to tell you. This anime is pretty popular, so after finally watch it a few months ago, I finally realised what the hype was about. I love the fact all the main characters are female and fight like badasses against evil witches. The only thing that bothered me about this anime is that sometimes it was a bit slow, and the ending was pretty random. But other than that I highly recommend watching this if you like fantasy stories. Although I watched Black Butler quite a while ago, I still want to put it in this list because I love it. The story is set in Victorian era London, in a manor house where a young master called Ciel Phantomhive lives after he loses his parents after he's 10th birthday. His butler Sebastian Michaelis, seems to be the best of his craft, but is there more to him than that? Ok, I love this anime so so much. I talk about it all the time and people are probably sick of me because of it. But I really do love everything about it. It's dark but still has humour and the characters are interesting and you really do fall in love with them. I like that episodes have different stories but still follow one main problem through out the season. I really really recommend this for anyone who enjoys dark fantasy comedies. Although I still haven't finished this one, I still really enjoy it at the moment so here we go. The concept is about the creation of a new strain of the human race, similar to human beings with invisible arms called vectors and physical abnormalities. The main character, Lucy, who was built as an experiment escapes into Japan. She meets two locals who take her in, but become involved with the numerous brutal attempts to recapture her. The story of Elfen Lied is really bizarre with the experiments with different powers, but the fact the main characters works with normal human beings makes the story a bit more down to earth. Even though I haven't finished this anime yet I've really enjoyed what I've seen of it. The concept is interesting and there is plenty of action. Ok. My final anime has to be the best one doesn't it? 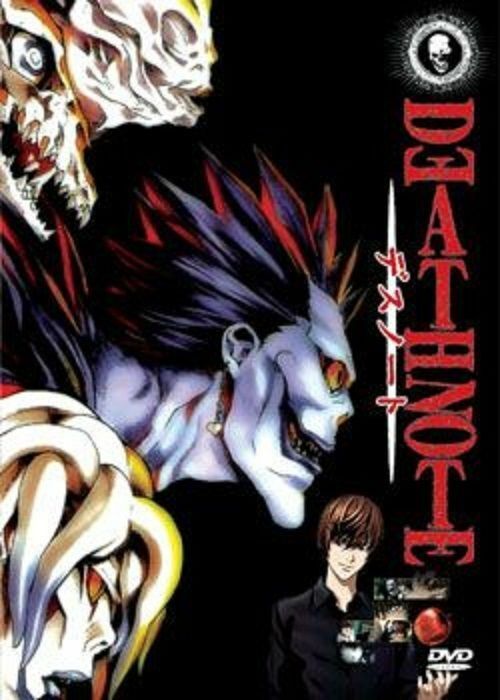 I first watched Death Note about 5 years ago and I loved it from the word go. Light Yagami, a young genius is sick of hearing the same news over and over again and resents all things evil. After finding a notebook that kills anyone whose name is written in it, he experiments on some guys bothering a female character. He finds out the book is legit and decides to create a perfect world without criminals or evil. This anime is probably one of the best I have ever seen and will ever see. The story, the characters, everything is amazing about it. It's really deep and really explains everything and doesn't miss anything out. I've seen both the subbed and dubbed versions and honestly, I actually really like the dubbed version. It was really well done capturing the characters personalities pretty well. I highly recommend this to anyone if you haven't already seen it. To me it's a perfect start if you haven't watched anime before. It will be one of the best you've seen for a long time. I hope I inspire you to watch any of these. I personally really love them and I hope you do too. I hope you have a wonderful day, and please tell me if you like posts likes this so I know whether to do more or not. 1. a twenty year old wannabe artist who dyes her hair way too much and is documenting her life on the internet. 2. also likes music, books, tea, video games, anime, horror movies and all things fantasy inspired. Hey! I uploaded a video to my youtube channel showing how I dye my hair purple and what products I use. Enjoy!